The answer to last month's competition is "Tabitha" was the name of Samantha and Darrin's daughter in TV's Bewitched. Congratulations to Paul Greenan from Tax Assist as he won our November "bonfire inspired" hamper! 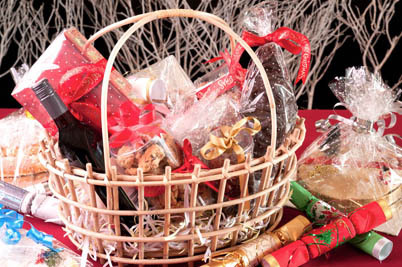 This month, we have a fabulously festive Christmas Hamper to give away to one lucky winner. Full of seasonal savoury spreads, deliciously sweet delights, some fizz and a few other surprises, we aim to outdo Santa's Christmas stocking with our selection of guilty foody treats! "According to the song, what did my true love send to me on the seventh day of Christmas?" Once you've googled this question, email your answer and contact details to at: info@jackiekerrrecruitment.com and the lucky winner will be drawn from the correct answers on Monday 10th December 2018 - good luck!